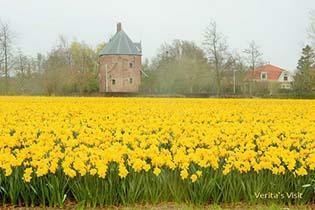 In the bulb flower region there are places that Dutch locals don’t even know about. 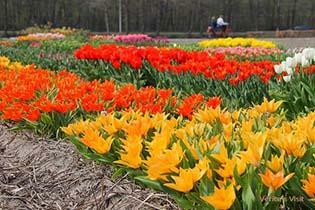 In this Flower Fields & Tulip Farm Bike Tour we get a peek behind the scenes of the Keukenhof area and visit spots that are hidden from view by millions of blooming tulips, daffodils and hyacinths. 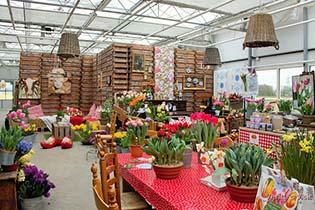 Price: from € 55,- p.p. 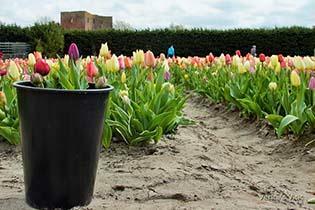 We find out how two castles in the area are connected to the Keukenhof flower garden, pick our own tulips in an exotic tulip garden, experience four seasons of bulb culture in a former bulb shed and meet an enthusiastic bulb cultivator who takes us on a fascinating tour through his bulb farm and flower fields.